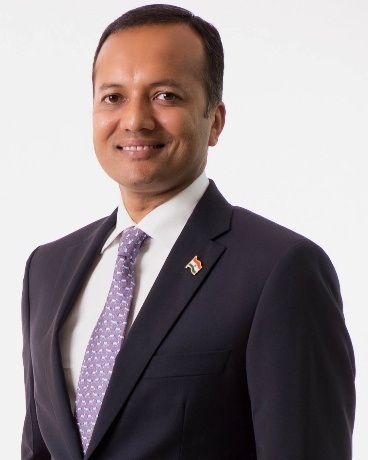 Bhubaneswar: Chairman of Jindal Steel & Power Ltd (JSPL) Naveen Jindal today requested the State Government to intervene in the issue of increasing iron ore price and freight rate in Odisha. “While Iron Ore price in international marketing is decreasing, the same in Odisha is increasing. Also the transporters are increasing the freight rate time to time. This adds to the challenges faced by the Steel Industries in the State,” Jindal told journalists after meeting Chief Secretary AP Padhi at the Secretariat here. He also informed that there is scarcity of coal for steel industries. The premium for coal in e-auction by Mahanadi Coalfields Limited (MCL) goes up to 100%. “In Odisha, we are buying World’s costliest coal through e-auction,” he added. He urged upon MCL and Coal India to increase production, then only the Steel Industry can run efficiently. The consistent increase of input price for the steel industry is resulting in hiked cost of production. The steel industries are facing difficulties as the raw material prices are increasing, whereas the price of finished steel products is going down. it is to be noted that during, April to July 2018, Steel prices has been reduced from Rs. 41000 to Rs.39000 per tonne, whereas prices of Iron Ore lumps has surged up by 10.58% from Rs.4725 to 5225 per tonne and fines by 17% from Rs.2050 to Rs.2400 per tonne. He requested the Government to take immediate steps to increase iron ore availability for the industries in competitive priceand implement the notification regarding freight rate for mineral transport in the State. JSPL’s Chairman also said a number of steel industries, other than 2 or 3 like JSPL, are under NCLT. Therefore the Government should intervene to rationalize the input prices and the transportation rates in the interest of overall economy of the State. JSPL has invested Rs. 35000 Crore in Steel Sector in the State, which includes India’s largest pelletisation complex of 9 MTPA Capacity at Barbil in Keonjhar District and Odisha’s largest Steel Plant of 6 MTPA Capacity. Mr. Jindal also met the Principal Secretary (Steel and Mines) R.K. Sharma and Principal Secretary (Industries) Sanjeev Chopra.